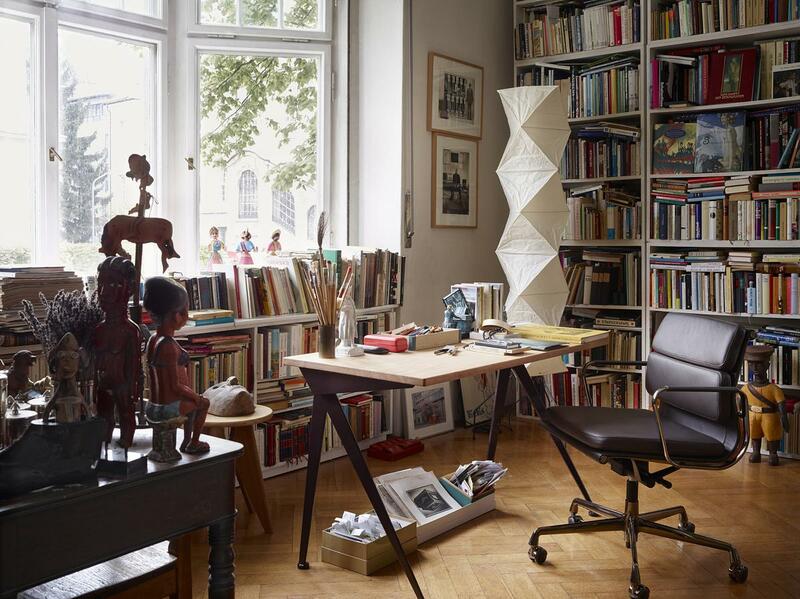 With its castors the continuously, height-adjustable seat and medium-high backrest, the Vitra EA 217 by Charles and Ray Eames is the all-rounder among the Soft Pad Chairs. 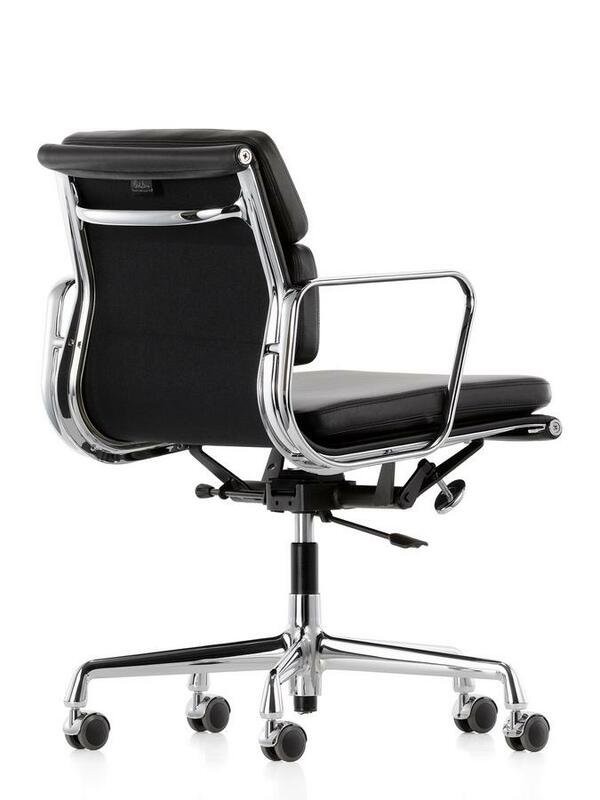 Produced by Vitra the EA 217 differs only slightly from its big brother the EA 219, save the higher backrest. 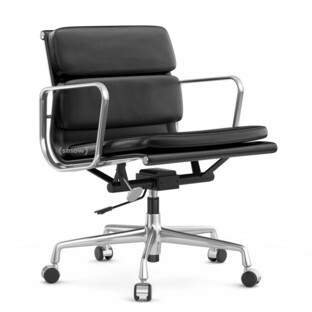 The many features and the comfortable armrests make the Vitra EA 217 ideal for flexible use at the desk, not least because the tilting mechanism can be individually adapted to the weight of the occupant and the individual cushion forms ergonomically to the body shape thus ensuring excellent comfort. Care Dust and lint can be simply vacuumed. To treat stains a damp cloth and a mild, neutral detergent is recommended. Professional cleaning should always be undertaken in the assembled state and with the use of upholstery foam or with a mobile washing extraction device. Please maintain and clean the leather according to the included booklet. 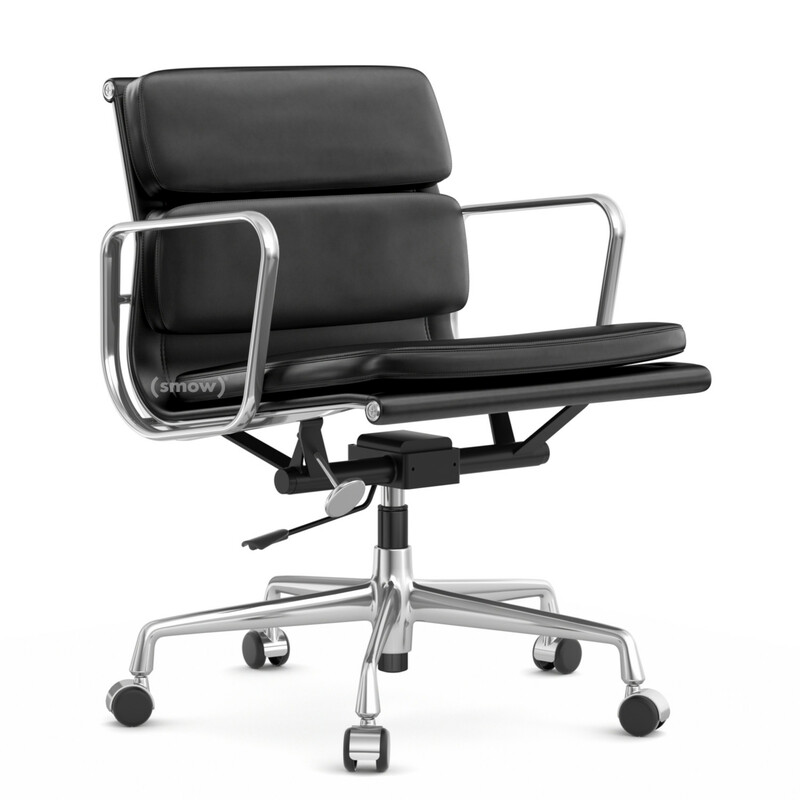 In terms of form and material the Vitra Soft Pad Chairs are strongly reminiscent of the Eames Aluminium Group, a collection Charles and Ray Eames had created 11 years previously. 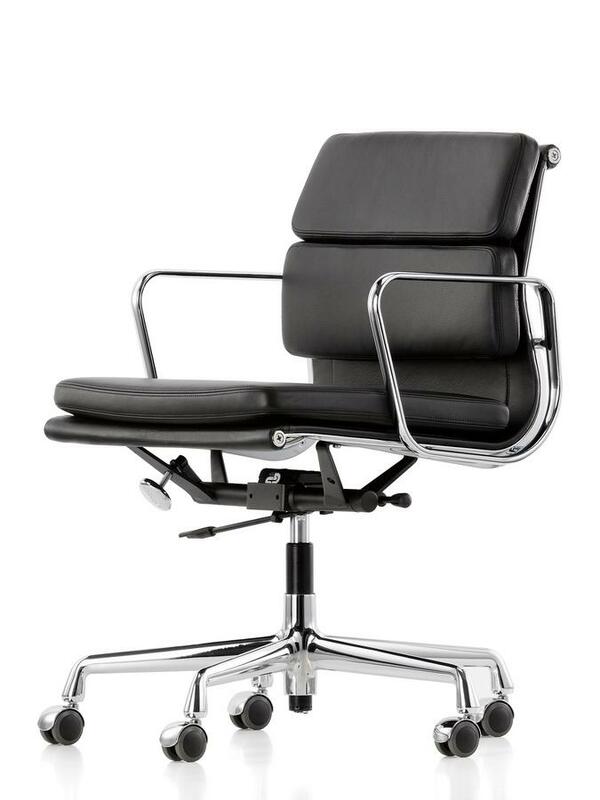 Developed in 1969 the Soft Pad Chairs proved and continue to prove themselves as effortlessly stylish in offices and work areas, and distinguish themselves from the Vitra Aluminium Chairs on account of their upholstery: a feature which gives them the impression of being a more muscular version of the aluminium family, muscular yet at the same time incredibly soft and inviting. 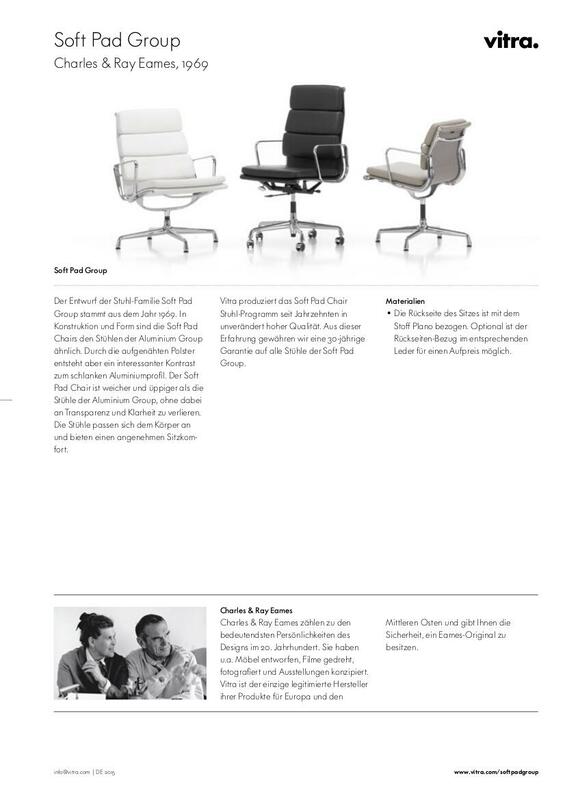 The individual cushion units adapt ergonomically to the body of the occupant while the soft fabric, available in a wide range of colours, makes the Vitra lounge chair as visually appealing as it is physically pleasing. 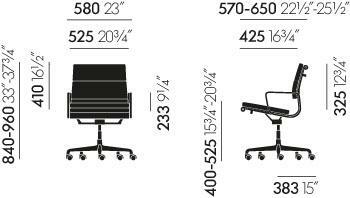 In all versions, the members of the Soft Pad Chair group are suitable for the office environment but also for waiting areas, lounge areas...and even at home. 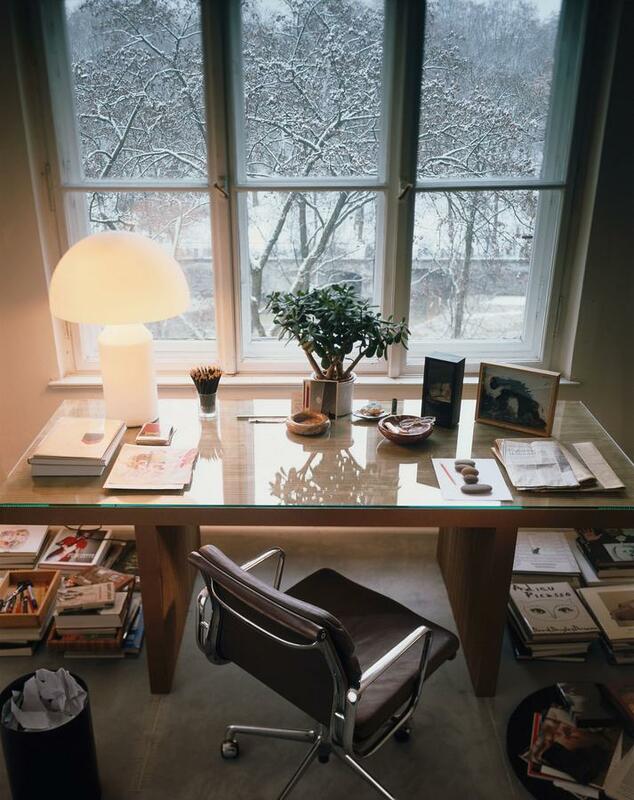 As with the Aluminium Chair the designer couple Charles and Ray Eames have with the Soft Pad Chairs once again demonstrated that their strength lies primarily in the creation of universal furniture objects which freely fit into any room and can be individually configured. 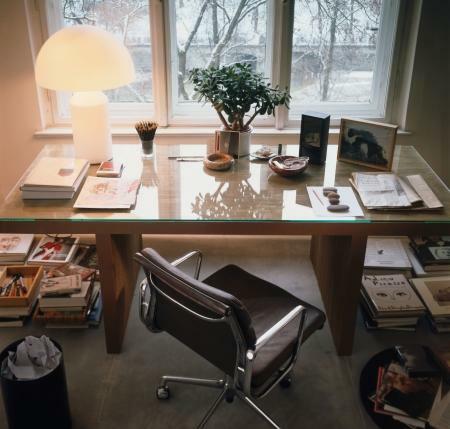 The designs of Charles and Ray Eames are produced today by the Swiss furniture company Vitra, a company who look back on a long tradition of working with well-known designers and the development of furniture classics: a tradition built on company philosophy of always acting according to the values of sustainable production processes, and powerful designs which through their high quality enrich their environment.